A: Bro, janganlah hentam PM sangat. B: But this is not just about PM. This is about a crime (or a series of crimes, particularly theft, treason, abuse of power, criminal breach of trust and such). Ini kes curi. A: Tapi Dr Mahathir pun curi! A: Mesti ada (curi) masa dia. ... and she walked away briskly. Now a successful businesswoman with hefty contracts with/from the Government, A is also close to top notch politicians, especially close to the one who is impatiently waiting to be crowned. I could understand A's leanings and business dealings but I think for her to thoughtlessly say 'Dr Mahathir's pun curi!' is a little too immature, shallow and dangerously naive. For a business person of her perceived standing, it was such a disappointment. I thought you guys are supposed to be smart and savvy. No? I think if indeed 'Dr Mahathir pun curi' has some basis, the much feared Fourth Floor Boys wouldn't have waited for Najib Razak to try to send Dr M to jail. You get what I mean? I rest this part of the case here. Actually the major concern is about this ludicrous nutty-tale that 'Oh! Those in the past stole so it's my turn to steal and plunder now'. You think Malaysians are pre-schoolers waiting for your best of trickery or are you of the opinion that this nation is your father's private limited company? You say your mentor did this and that when he was the leader. You are saying it now but you must very well know that your mentor was not involved in any personal scandal. Nothing at all. Unlike you. Some may want to talk about BMF, Perwaja, and other lesser scandals of yesteryear but none of these were personal wrongdoings. 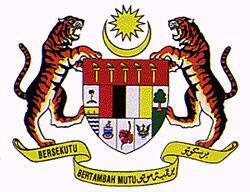 In the case of BMF and Perwaja, crimes and wrongdoings were prosecuted and punished. Investigations then were not subject to any arm-twisting of the investigators, prosecutors, Bank Negara or even the Attorney Generals. The Prime Minister did not siphon out money from BMF or Perwaja and put it into his personal bank account. Similarly, I don't think Tan Sri Musa Hitam, Tan Sri Shahrir Samad, Tengku Razaleigh and a whole lot of other Umno leaders faced any action from the party when they went around the nation vociferously campaigning against the then Umno President and Prime Minister. Even Datuk Seri Zahid Hamidi was not sacked from Umno despite the fact that he was arrested and briefly detained for investigations under the Internal Security Act for allegedly colluding with Anwar Ibrahim in 1998. Certainly Shahrir Samad, a man once known for his iron clad principles, would know more about those freedom he enjoyed in Umno and Government then. I hope Shahrir the politician whom I knew as a journalist would return someday, without fear or favour. He says 'Umno growing more intolerant' . 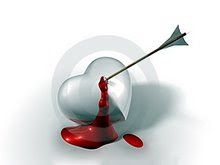 I hope Shahrir has finally listened to his heart. I hope. Is Umno just intolerant internally, where even the Deputy President is not spared for speaking the truth? Tan Sri Muhyiddin Yassin's unceremonious removal is in fact a tight slap smack across the face for Umno but it seems a huge majority of Umno leaders and members are completely ignorant. Even the blind could sense this insult but Umno remains numb. The Deputy President was not even campaigning for the Umno president's post when he highlighted those grave mistakes that formed the root cause of people's eroding trust and confidence in the administration. Is speaking up for the people no longer provided for in Umno, BN or the Government? An increasing number of elders comprising former civil servants and politicians who served Malaysia during her glory days have begun to speak their mind. I hope no attempts are made by the naked Emperor's court jesters to transfer retired ministers, civil servants and their friends from the diplomatic service for standing against crime and tyranny. Back to Umno, probably Tan Sri Rafidah Aziz could tell us more about democracy in Umno. She fought and tasted defeat and victory for the then much respected post of Ketua Wanita Umno. By the way, how is Wanita Umno doing nowadays. Joined the silent majority? So, why was Umno's deputy president sacked from the government after he spoke about the monster that has become a serious threat. Why is 1MDB sacred that even the No:2 man in the country had to be removed, together with the Attorney General and a list of other top servants to the King and country? It was not the deputy president of Umno who created the monster that has chalked up debts to the tune of billions of ringgit. Did he? As mentioned earlier, a huge majority of Umno leaders and members are such an ignorant lot that they would applause a court jester who says Vaping is our younger generation's 'aspirasi'. The other day another lucky clown said Malaysians preferred 'Cheap and Slow' internet connection. A day ago another of their equally funny colleague threatened to jump down from his toilet seat if a politician and an aspiring politician engaged in a debate. In a last minute attempt to outdo his countrymen another joker says you must wake up early to avoid paying road tolls. What next. Schools to start their session at 5am to accommodate parents who have to sent their children to school before heading to work? The list is endless. Utter stupidity and ignorance have become a norm. We are no longer the Malaysia we knew or we think we are. We are growing in the wrong direction. Idiots multiply by the day, especially after the leader says loyalty is more important than intelligence. The few seemingly intelligent ones in the administration must have had something stuck in their mouth. No noise at all. Even our foreign friends are perplexed at the rate of our decay as a nation and a society. Religious leaders who are often quick to pass judgement and offer guidance on trivial matters in the society are almost absolutely silent when their rightful guidance, based on the teachings of their respective Holy scriptures, are much awaited by hapless followers and believers. Bila tabiat hisap Vape dan cara berpakaian atlet pun boleh dibincang kenapa krisis kepimpinan, isu rasuah, salahguna kuasa dan pecah amanah yang amat memeranjatkan tidak berani disentuh pun? Are corruption, treason, abuse of power and criminal breach of trust not much more dangerous and serious than scratching among ourselves for the right to use of the term 'Allah'? At which direction is your moral compass pointing? Mungkin ada kewajaran disebalik tindakan sebahagian besar Mufti serta ketua-ketua agama lain untuk berdiam diri. Mungkin mereka belum cukup berani. Takut kena tukar? Jika tidak silap Titah Raja-Raja Melayu berkenaan 1MDB serta ketirisan kepercayaan terhadap Kerajaan yang dititahkan menerusi Majlis Raja-Raja pun masih belum ada yang 'Junjung'. Yang ada hanya reaksi bongkak anggota kerajaan yang lebih condong kepada memperingatkan Raja-Raja akan bidang kuasa mereka. Jika titah Raja Raja Melayu pun seolah-olah tidak diendahkan langsung, apa pula nasib Mufti dan kawan-kawan jika berani bersuara. Baik senyap untuk selamatkan diri dan jawatan... atau bagaimana? Umno is in crisis not because of any internal power struggle but squarely due to a humongous financial scandal spearheaded by none other than the President. However it is no longer confined to Umno because the president also happens to be the Prime Minister and Finance Minister. Prime Minister of Malaysia (voted-in only by less than 40 thousand voters in the Pekan parliamentary constituency in the state of Pahang) is entrusted to manage this nation. Everybody knows the PM is very busy trying to manage his serious personal problems which was exposed by the Wall Street Journal. The personal problem has transformed into a possible national disaster after more details of a scheme to scam the nation were made public. Who is managing the country while the PM tries to escape prosecution? Many talk about a powerful 'kitchen cabinet'. Not sure if it is made up of 'kayu' but I hope the official PM does find some time for trivial matters like managing the all-round spiralling price of almost anything and everything in the country. A big majority of Malaysians who fall under the middle and lower income group are suffering due to the unbearable economic burden. Who are they to rely on when the Government appears absolutely insensitive to anything, except maybe comments against 1MDB and the PM. What happened to the illustrious Barisan Nasional? BN should still have 13 components, if none had quietly left through the back door. 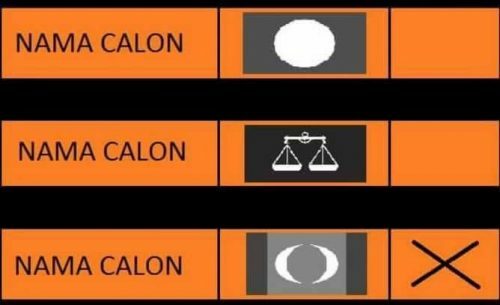 Umno is just one of the 13, what happened to the rest? Except for Parti Pesaka Bumiputera Bersatu and friends in Sarawak, plus one or two others from Sabah the rest are almost invisible. Most are heard only during the annual party meetings while some are just famous for infighting and statements supporting the BN chairman. The other 12 BN component's collective silence pertaining real pressing matters affecting our society and the nation as a whole is deafening. They appear like nothing but mere 'extras' in a Chinese opera. Are the other BN component parties still interested in representing the people or are their top leaders more concerned about protecting their personal interests, power, positions, allocations and such? BN component leaders must have been red-faced to tell their members that none of their views and objections to the infamous Red shirt Maruah Melayu rally was taken into consideration during a BN Supreme Council meeting before the rally. Did they tell you about this? 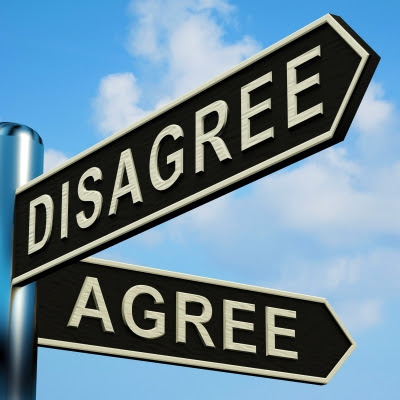 How could 'Agreeing to disagree' possibly hold water when 12 members disagree and the lone one remains arrogantly adamant. You shamelessly nodded your head sacrificing the larger interests of a multiracial Malaysian society although you knew it was wrong and dangerously detrimental to our very existence. Didn't you? If this interpretation of 'agreeing to disagree' is the new democracy, is Barisan Nasional then still relevant for our country? p/s B: Please grow up girl. The rest of us are entitled to continue making noises!!!! A very good knock on Najib and UMNO's head, this article that is. But then again is there really anything in between their ears? Oh well vacuum is EMPTINESS, thats why I cannot see whats in between their ears, but what about in between their legs? Emmmmm! What about the bailing out of Konsortium Logistik by MISC (subsidiary of Petronas) during Tun Mahadir. Petronas was under PM office. He cant claimed ignorant which so much money committed in the bail out. This is curi also. Mahathir had replied numerous time on this allegation. They are readily available in public domains on the internet. You can google it yourself on the net such as 'Mahathir response to accusation of a bail out his son's company' or any anything for that matter. Thank me later. berapa ratus billion duit rizab persekutuan digunakan hanya untuk BAILOUT syarikat-syarikat besar sepanjang 22 tahun mahathir mohamad menjadi perdana menteri malaysia yang paling lama berkhidmat? apa dasar pentadbiran mahathir mohamad? dasar mementingkan untung.. untung kepada kroni-kroninya.. dasar menjaga kepentingan orang bumiputera.. masalahnya bumiputera yang berkepentingan tu hanyalah 5%, berbanding 95% lagi bumiputera ada nak dipedulikannya?? dasar membiarkan monopoli bermaharajalela di malaysia.. dasar membiarkan bank-bank mengenakan faedah yang tinggi kepada peminjam.. mengapa kerajaan harus biarkan bank tamak haloba mencekik darah peminjam? adakah bank ini akan bayar cukai kepada kerajaan setelah mengaut keuntungan berbilion-bilion. 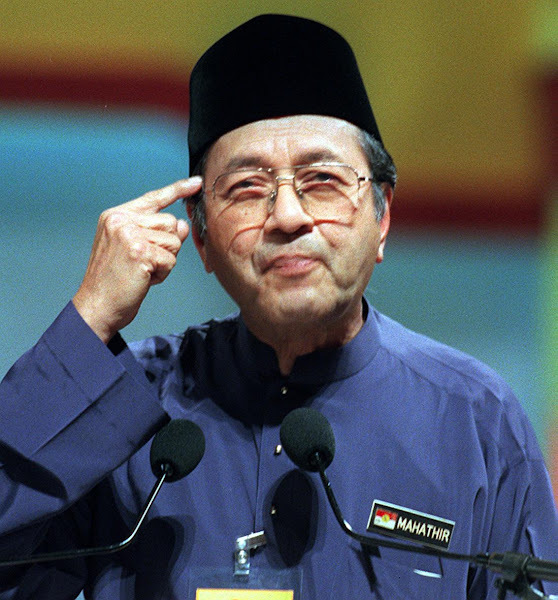 punyalah banyak kelemahan mahathir mohamad.. itulah tahun 1987, orang umno dah tolak mahathir dan pilih tengku razaleigh hamzah.. ada mahathir peduli??? pengikut mahathir bagi idea suruh cawangan tak berdaftar undi jugak dalam pemilihan.. bila benda ni dibawa ke mahkamah. umno lama diharamkan.. umno baru pulak ditubuhkan dan memperbodohkan orang melayu dengan mengitar semula logo umno, lagu umno.. tapi tiada pemilihan baru dilakukan semasa umno baru ditubuhkan.. untung kan mahathir terus berkuasa.. inilah bala malu yang akan terus ditanggung oleh mahathir walau dia dah mampos nanti.. orang akan sumpah seranah mahathir.. pemuja pemuji mahathir takkan dapat menutup mulut orang yang mengutuk mahathir.. kerna di seluruh pelusuk malaysia ni berjuta-juta orang membenci mahathir sama ada terang-terangan ataupun dipendam dalam hati.. biar mahathir dikenang dalam sejarah sebagai individu tak guna, individu paling haprak menjadi perdana menteri.. najib tu anak buah mahathir.. jika najib dikutuk, selayaknya mahathir patut mati sakit jantung melihat bagaimana anak buahnya dikutuk. 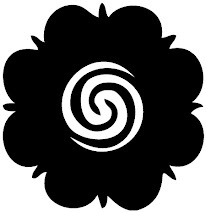 pembetulan. najib menang 75% undi popular di kawasan parlimen pekan.. 51,278 pengundi memangkah lambang dacing di pekan, 15,665 pengundi memangkah lambang mata pkr (fariz musa).. 1,275 undi rosak.. 68,218 (85.0%) keluar mengundi semasa pru13.. tengok betul-betul fakta.. bukan main tulis je hanya kurang dari 40 ribu yang pilih najib.. habis teresa kok yang dapat 61 ribu undi tu paling layak jadi pm ke?? ong kian ming yang dapat 79,238 undi.. undi paling banyak dalam sejarah malaysia diraih oleh seorang calon.. adakah ong kian ming layak jadi pm?? kenapa anwar ibrahim yang hanya dapat 37,090 undi di kawasan permatang pauh pulak yang nak diangkat jadi pm ke-7.. sepatutnya anwar ibrahim patut dapat lebih 50 ribu undi di kawasannya baru terbukti popular dan layak menjadi pm.. anwar ibrahim haprak.. kawasan dia sendiri pun 25 ribu pangkah bn ada hati nak kata dia menang besar... pegi jalan lah.. nurul izzah yang menang di lembah pantai tu pun menang majoriti tipis, harap undi orang cina je.. kalau tak nurul izzah hanya boleh melalak di luar parlimen saja.. bila dah jadi mp tu, buat kerja betul-betul bukannya asyik jaja nama ayah di parlimen.. naik rimas mp lain yang mendengarnya macam mp lain takdak mak bapak.. oh mak bapak mp lain bukan mantan tpm, bukan mantan menteri kewangan, bukan ketua pembangkang, bukan mantan timbalan presiden umno.. itu pasal lah anwar ibrahim sentiasa dipuja.. huh apa beza pkr dengan umno kalau dua-dua konsepnya memuja pemimpin.. bagaimana dengan rakyat marhaen yang telah berkorban lebih dasyhat kepada negara.. fikir-fikirkanlah. Mahathir's children gotten rich as the country slowly developed, grew and prosperous. They weren't nouveau riche right after Mahathir became prime minister to the extent of immediately capable purchasing prime properties overseas or even privilaged enough to be in position to do joint ventures with international MNCs. Even Pak Lah's son was already among the richest in Malaysia even before Pak Lah became PM. So you can't really say actually. Asked about his legacy before retiring as the Prime Minister of Malaysia, Dr Mahathir responded realistically. He said he was not concerned about legacy but has focused on developing the nation and uplifting the life of ordinary Malaysians. He said a hundred years after his retirement political analyst may tear down his administration and seek points to criticise, so he was not really concerned about his legacy. But what was Dr Mahathir's legacy, at least as the Prime Minister of Malaysia? Are we better off as a respected nation in the region since his retirement 12 years ago. A full Lunar calendar. Are we still walking tall as we used to or have been shying away from international conferences due to hostile crowd n such? We should blame Dr Mahathir for that cowardice? Bukan berani kerana benar ker? Look. Zahid boys are fanning for a live debate between Arul Kanda and Tony Pua. Zahid too made anak jantan statements challenging Tony Pua. Bloger Bru very upset too. Wah, after quite some time being quiet, now all those points and questions came out from you. Thank you for listing them for the Malaysians to ponder. Yes, I cannot disagree with you about how dumb our be-end leaders and how disgusting our "ularmak" are becoming. All because of the moronic pee-em had hijacked this country and rampantly spreading corruption as a new religion in order to prosper his pet hippo. I hope the pee-em, his pet hippo and those pee-em's ball-lickers will fall and rot in jail, too (if found to be guilty). Ulama Malaysia ni bukanlah ulama, cuma self proclaimed, dan masyarakat yg jahil pun mengangkat mereka semua jadi ulama. Apa yg boleh diharapkan dari mereka, setakat fatwa vape, cite pasal hudud, yang tu depa tau. Tapi kalau cakap sistem perbankan, sistem perniagaan, walaupun sekular, tapi tak tercapai oleh fikiran mereka sebab mereka ni jahil. Sedangkan ilmu sains tu adalah Islam, tapi pada mereka, ilmu yang dituntut belajar dalam Islam hanyalah ilmu agama. Apa yang mereka tafsirkan dalam alquran hanyalah berkisar tentang ilmu agama, sedangkan perkataan ulama yang disebut dalam al Quran adalah seorang yang berilmu, tak disebutpun seorang yang berilmu agama. Tafsirkan mereka begitulah sempit. Surah al qalam yang dituturkan pada nabi kita pun tentang menuntut kita membaca, tak disebutpun mesti membaca hal ehwal agama saja. Terjemahan English lebih tepat, ulama adalah a person with knowledge, terjemahan melayu yang syok sendiri dan ditokok tambah, ulama adalah seorang yang arif dalam agama. Tafsiran yang sempit lagi dangkal. Oleh kerana masyarakat Malaysia sendiri yang jahil dan tak mau belajar dari alquran sendiri, selamanya menjadi masyarakat jahil yang bergantung pada self proclaimed ulama, apa yang mereka sebut mesti diikut, sebab kata mereka ulama pewaris nabi. Sedangkan tafsiran ulama tu sendiri adalah orang yg berilmu, professor fizik, kimia, ahli ekonomi juga adalah ulama. Tafsiran sempit mereka yang menjadikan masyarakat melayu jumud, iaitu ulama adalah pakar ugama. Oleh itu, bodohnya mufti kerana tidak faham sistem kewangan menjadikan mereka bisu, setakat tangkap khalwat tu memang cekap. Mufti yang diharapkan menjadi penyelamat masyarakat, menjadi mufti bisu apa rompakan berlaku didepan mata tapi tak faham itu adalah satu kezaliman pada rakyat. Begitulah juga isu gst, bodohnya mereka sebab isu gst yg menzalimi rakyat pun tak dapat diperjuangkan. Tun Mahathir adalah ulama yang sebenar, cuma masyarakat jahil tidak mengangkat tun Mahathir sebagai ulama kerana dia tak pakai serban besar, berjanggut dan jubah macam hadi awang, harun din dan mufti2 yang lain. Panjang kali ini tuan Apanama. Mengah sikit nak baca tapi it is still worth it. It has being a busy day and I have to wait after office hour to be able to read it properly. It has being a while bro. Looking forward for your future postings. Hopefully it will be hard hitting and interesting like this one. Because the big boss has nothing between his ears, his team also has nothing there. That's how they come up with ridiculous and nonsensical statements every now and then as a circus event. They think by playing to the crowd, as the red t-shirts organizer was doing, they will get more claps and laughs. They are the clowns. Gani Patail, former AG, touched on the arrests of Khairuddin and Matthias Chang, during the Bar Council's forum on Sosma. He said Sosma was intended to deal with terrorists and terrorism and that making reports overseas does not warrant an arrest under the act. "How does lodging a report and disclosing information about alleged mismanagement, misappropriation of funds, embezzlement or fraud constitute sabotage when the whole purpose was to enable the police or other law enforcement agencies to initiate investigation? "What then of the protection of the whstileblowers and the Whistleblower Protection Act 2010? These are things you have to ponder," he added. Clear as the day, both were wrongly detained, arrested and charged. Najib:- A reincarnated brahmin-caste chauvinist desperately lacking in grey matter who keeps ploughing the spoils of the world with a failing heart. Tepat sekali ulasan tuan mengenai maksud sebenar Ulama. Yang kita ada sekarang hanyalah "Ularmak". So berhujahlah straight to the point dan tak perlu beremosi. Silap2 anda sendiri membesar dalam pembangunan yang dibawa Tun. Tak perlulah kita mencaci maki orang tu haprak orang ni haprak hanya kerana bayaran yang entah berapa sen diterima untuk menjadi keyboard warrior. Susah nak bercakap with guys yang tak sedar diri dan tak sedar diuntung. Dengar story Shahrir's sis went to c Tun n pleaded to get Shahrir 2 b readmitted into Umno. Dengar cite Tun Rajak agak kejam. He told TR to join him inforce or else he will destroy TR. Salah satu KPI or Key Politik Indek kite kene suruh Zahid amik IQ n EQ test. Pastu dia dgn Najib undergo polygraph test.